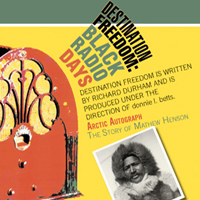 An exploration into the magic of radio from a different era with a sharp focus on famous African-Americans. 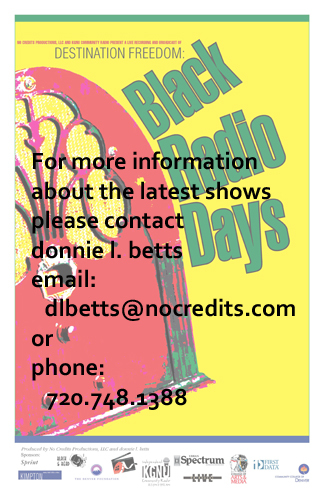 Producer donniel l. betts obtained permission from Richard Durham's widow, Clarice, to air the radio series on KGNU 88.5 FM on the third Monday of every month. 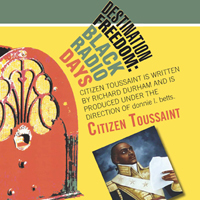 Originally, Durham aired these programs on WMAQ radio in Chicago in the late 1940's and early 1950's. 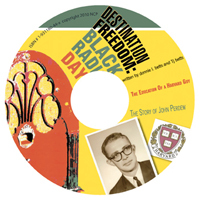 African-Americans, among others would eagerly listen to these weekly broadcasts which focused on the heroes and sheroes of African-American fact and folklore. His works included stores about Louis Armstrong, Stackalee, Jackie Robinson, Harriet Tubman, and Ida B. Wells.